Nysus Solutions was tasked with creating a custom solution for one of our customers. This particular customer had an ongoing issue with operators missing small screws within a kitting application. Missing components is a common concern we hear on the shop floor and can be the root cause for product issues later down the production line, at the OEM site or worse, for the consumer. That's where we come in! We took a standard Nysus Solutions MES station and added our Pick to Light System and Vision Inspection System to create a custom kitting cell designed to ensure there are no more missing pieces. 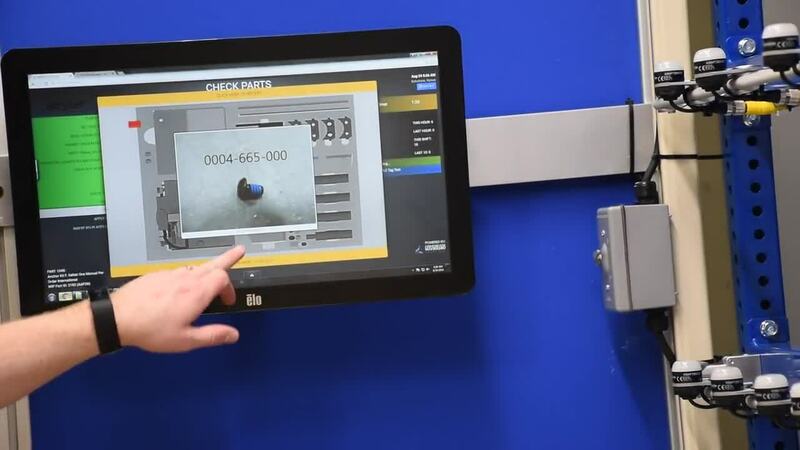 Once the operator scans the correct part or kit, the Nysus Solutions MES shows each step of the process on the screen, assisting the operator through building the entire kit. The Pick to Light System triggers the individual pick light at each correct component location, showing the operator exactly where to pick the next component/part in the process. Nysus Solutions then added Vision Inspection to check that every component was placed in the correct location. In this video example, the screen showed the operator a missed screw as well as the specific part number that was missed. The operator then adds the missing part, triggering the Vision Inspection to run again and ensure all components are put in the correct place. 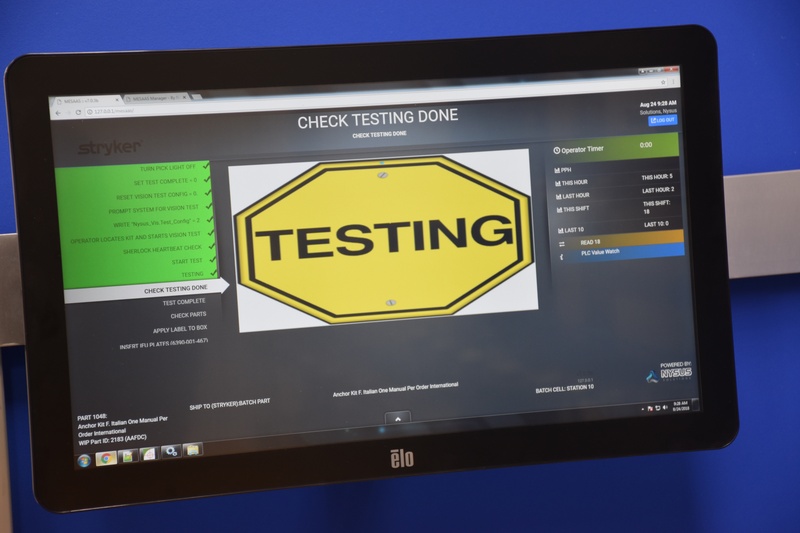 This custom solution ensures product quality and records every step of the process, giving our customer the confidence to guarantee a high quality product for it's suppliers. The team at Nysus loves a good challenge! Contact us today with your operation's biggest concerns and let us design a solution that will exceed your expectations.